Once the draft report is handed in, what next? While the teacher is proofreading all of the reports, the students have many things yet to prepare for the final good copy of the report. They can: make the cover page, create 3 pages of informative illustrations, write the introduction and summary, and make the bibliography! This work should be done at school, but also be worked on for homework. The draft report is due this Wednesday, May 13th. The good copy is due June 1st. Please note that 5 points will be deducted from the research report grade for every day a report is handed in late. 15 points = a drop in a letter grade. 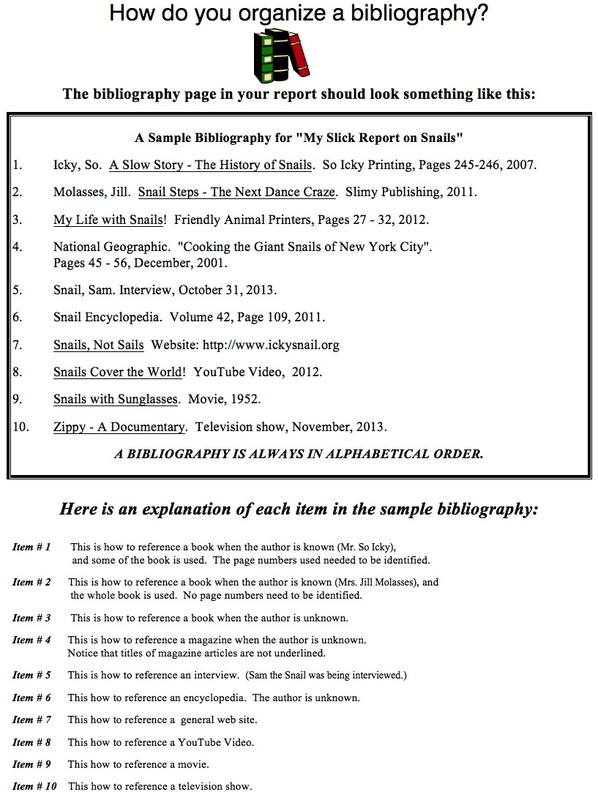 Here’s a worksheet on how to organize a simple bibliography. It was explained and given to the students last week!